It seems like everyone has debt. Homeowners often have mortgage debt. Many car owners have car loan debt. Have a college degree? Chances are that degree came with student loan debt. You can even go to the grocery store, swipe your credit card and end up in credit card debt. Debt is everywhere in our lives and many people accept it as a simple fact of life. You shouldn’t. Debt almost always has a monetary cost attached to it. Sadly, few people actually know what monetary cost they pay each and every month they make their debt payments. That will change for you today. The first step to determine how much your debt costs you is to make a list of all of your debts. Without this list, there is no way to make sure you’ve included all of your debt costs. I personally take a look at my bank account statement and look for any and all debt payments I make each month to compile my list for the first time. If you don’t make all of your payments from a bank account, you can simply make a list and write down any time you make a debt payment over the next month. The easiest way to determine your debt costs is so obvious you’ll be surprised you never thought to look at it before. 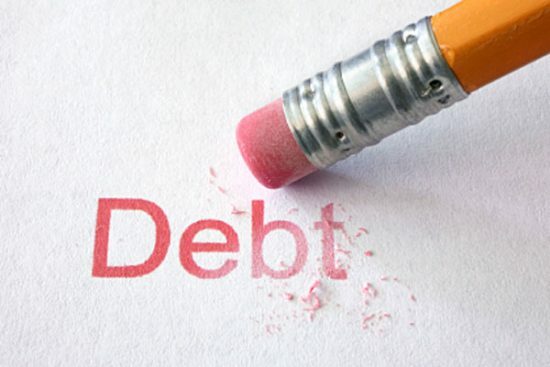 Once you have your list of debts, simply go find the last statement for each debt on the list. Hopefully your statements break your debt payments down into at least two parts, principal and interest. If you have a mortgage payment, there may be a third part of your payment called escrow, which you can ignore for this exercise. Unfortunately, you may find some of your debt statements do not include a breakout between interest and principal payments. For these particular types of debt, you’ll need to move on to the harder way to determine your debt costs. Determining your debt costs the harder way isn’t mentally difficult. Unfortunately, it requires you to track down some information about your debt and use a simple online tool. The tool, called an amortization schedule calculator, allows you to input basic information about your loan. Based on that information, it will show exactly how much of each monthly payment will go toward paying down principal and interest. 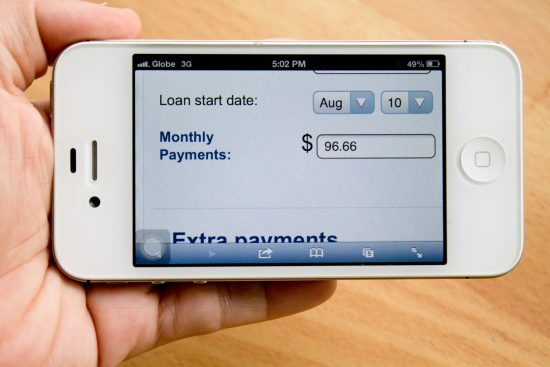 To use the linked calculator, you’ll need to know three of the four following inputs: the original amount of the loan, the annual interest rate, the number of payments and your monthly payment amount. You’ll also need to input your payment frequency and how often interest compounds. You should input the loan start date and the date of the first payment if you wish to know exactly how much interest you’re paying for your current month’s debt payment. This information is usually available in your original loan documents. If you can’t find the information you’re looking for, you can always call your loan servicer and ask them for the information you need. Now that you have the necessary data, it’s time to figure out how much your debt actually costs you each month. Take the interest portion of each debt payment and add them all together. The result is how much your debt costs you each month. Every single dollar of interest you pay is one dollar you’re voluntarily giving someone else. Of course, you’re only paying interest so you can have something you couldn’t afford to pay for outright when you bought it. Does the number you calculated shock you? For some people, the amount of interest they pay every month could easily be thousands of dollars. So what can you do about it? Here are a couple ideas. The first thing you can do is pay off your debt as fast as possible. As you pay off each loan, the amount of interest you pay will decrease. Eventually you’ll be debt free and won’t pay anyone even a single dollar of interest. Another option is selling the items you owe money on, like your car or your home, and downsizing. Downsizing will usually result in a reduced debt load and less money paid in interest. The lower debt total could also allow you to pay off your debt much faster. You can take money you used to put toward interest and put it toward extra debt payments instead. Whether you take action to change the amount of debt you owe or not, at least you now know how much it costs you.